Are you having a tough time trying to find best educational toys for toddlers? If so, you’ll be glad to hear that we’ve researched and reviewed what the top options have to offer. All you need to do is have a read through the choices below and pick out the one that stick out to you as being the best. There is a number of things to consider when it comes to finding a great toy for a toddler, which is why there’s a buying guide section at the end. Make sure you take a look at that section if you want some extra guidance on how to go about picking the best toy for your toddler. This Spike the Fine Motor Hedgehog set by Learning Resources features peg pieces that can fit into the back of the hedgehog toy. Children have a lot of fun doing this and developing their motor skills and hand-eye coordination. We liked how they’ve used bright colors to make the quills as it makes it more exciting for toddlers. It’s also great for improving their color recognition abilities. In addition to this, kids are encouraged to sort the various pieces and develop their counting skills. The size of the pieces available are perfect for little hands. Therefore, kids are able to grasp the pieces and play easily. Parents have also been liking how all of the quills can fit into the hedgehog to make for an easy clean up. This is an excellent toy set that helps kids develop their coordination, motor skills, and color recognition skills while having fun with the hedgehog design. 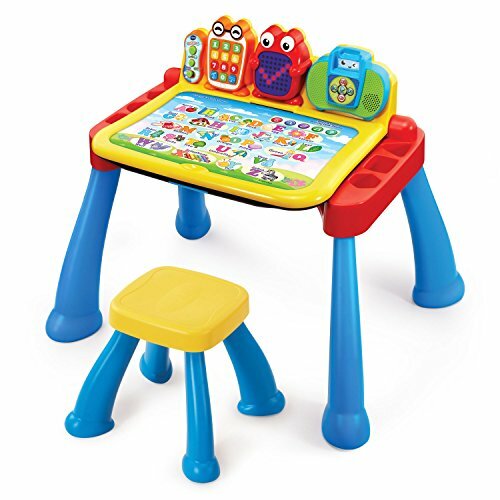 Vtech’s Touch and Learn Activity Desk Deluxe comes with 5 activity pages for kids to play with. So, you can be sure that your toddler will be engaged for a while. We liked how there’s an LED display that lights up numbers, letters, and shapes. This helps kids to recognize different shapes, as well as improve their knowledge on numbers and letters. We were surprised with how it can be turned from a desk into a chalkboard effortlessly. Kids have a blast being able to write on the chalkboard, which improves their writing abilities. In addition to this, they’ve included a toy telephone which toddlers love using in their pretend play games. It’s a great way for them to improve their creative thinking skills. There are also over 100 vocabulary words available, with over 20 activities and songs. So, there’s a lot for kids to be stimulated by and learn from! Voice over feature can be a little annoying! 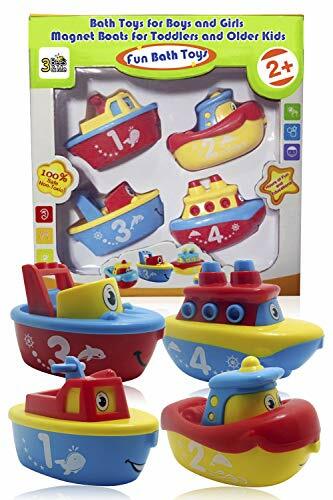 There’s a lot going on with this set to keep your toddler engaged for hours on end which makes it an incredible gift for a 1 year old boy or girl. They’re able to improve their vocab, handwriting, shape recognition, and creative thinking skills. This set is excellent for encouraging toddlers to develop their counting skills. 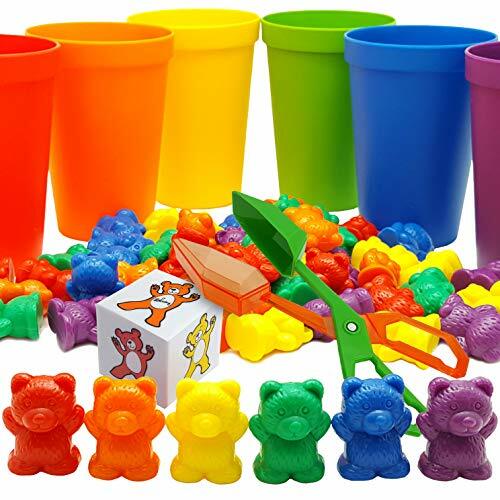 Due to the fun bear design, children have a blast playing with this set, which helps them to learn better. The colors of the bears are also bright which makes it more exciting. This is effective for improving your child’s color recognition skills. In addition to this, while they’re handling the different parts, their hand-eye coordination and motor skills are given a great opportunity to develop. There are various activities available that are a lot of fun. One of them involves sorting the bear toys into the color of the rainbow. Others involve counting activities. Therefore, you can be sure that this one will keep your child focused and excited to learn. We liked how this set includes a variety of activities that help kids to develop their coordination and motor skills, while also being able to improve their color recognition abilities. The ABC Sound Book comes with a total of 8 learning pages and 6 different activities. There are also over 100 songs and melodies available, which ensures that your toddler will have a lot of fun with this one for a while. They’ve included 3 learning modes which include spelling, letter and word recognition, and a quiz. As a result, kids are able to have a blast while learning, which is an awesome combination. The various songs and melodies that are available stimulate your child’s audible learning senses and keep them engaged. You can also easily take this one with you while traveling to keep your toddler occupied. We liked how this one ha an emphasis on making learning fun. It encourages kids to continue to improve their spelling and word recognition. 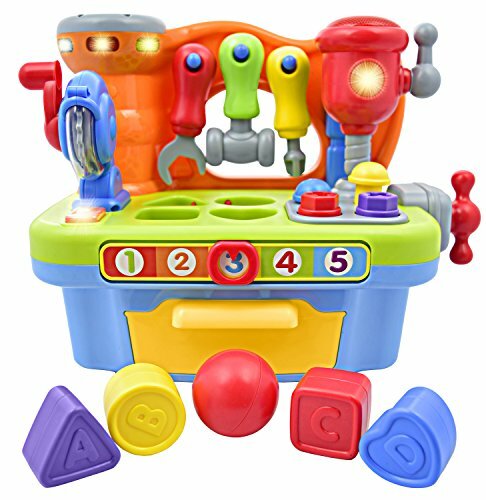 The Deluxe Toy Toolbench Playset comes with a toy wrench, hammer, screws, and a screwdriver. Children have a ton of fun trying to figure out how to use these tools which provides them with a hands-on learning experience. As a result, you can expect their hand-eye coordination and motor skills to be improved greatly. They also have a lot of fun using these pretend tools to play with imaginatively, which improves their creative thinking skills. We were impressed with how they’ve included a slider that can be moved between the numbers 1 and 5. The toy then calls the numbers out which is highly interactive and helps kids to develop their number knowledge. Toddlers have been loving how they’re able to play creatively with the different tools available and it improves their creative thinking skills. The set also develops their knowledge on numbers in an interactive way. 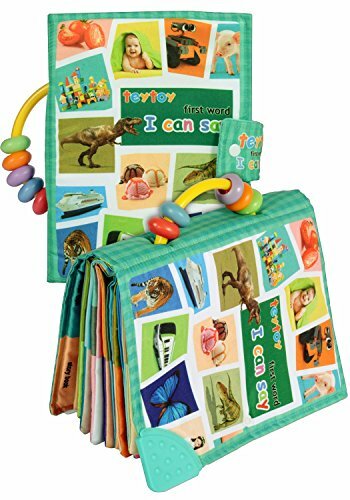 The Teach My Toddler Learning Kit comes with a total of 68 pieces which include different shapes and colors. This is effective at developing your child’s color and shape recognition skills. In addition to this, there are pieces that have numbers and letters, which improve your child’s knowledge. With 55 flash cards, 4 posters, 7 puzzles, and 4 board books available, you can be sure that your little one will be engaged with this set for a while. Due to how many things are available to play with, your child’s ability to focus can be improved too. Furthermore, by playing with all the pieces and having a very hands-on learning experience, your toddler’s hand-eye coordination and motor skills are given a great chance to develop too. We were impressed with how many different things there are available for toddlers to play with. They’re able to have fun for hours on end while developing their color and shape recognition abilities, as well as their coordination and motor skills. 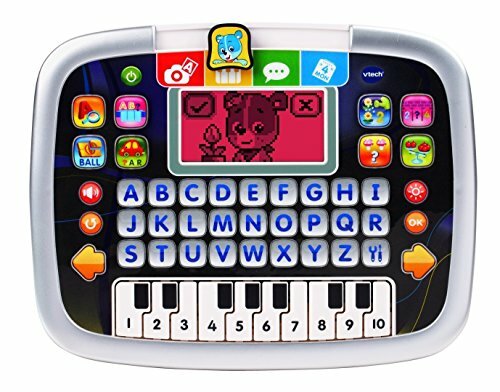 VTech’s Little Apps Tablet comes with a screen that has a color-changing feature which is stimulating for your toddler’s visual senses. It also helps them to improve their color recognition skills. 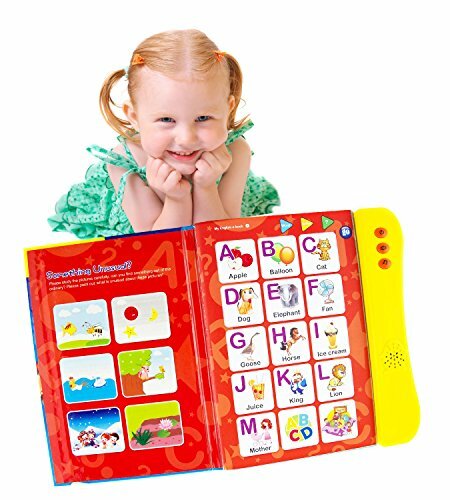 We liked how this tablet includes a different letters as it ensures that kids are able to learn the alphabet in a fun way. There is also a total of 12 learning activities available. These improve your child’s counting, matching, and number skills. In addition to this, there’s a piano keyboard that’s incredibly exciting to play with. It encourages kids to let their creative side run wild and have a blast. Parents have been glad to find that there’s a volume control and and auto-shut off feature that works to save battery. Kids have been loving how they can play the piano and have fun while also developing their knowledge on the alphabet and numbers. It’s also a smaller toy without pieces which makes it easy to take on the road to keep your toddler entertained while traveling. 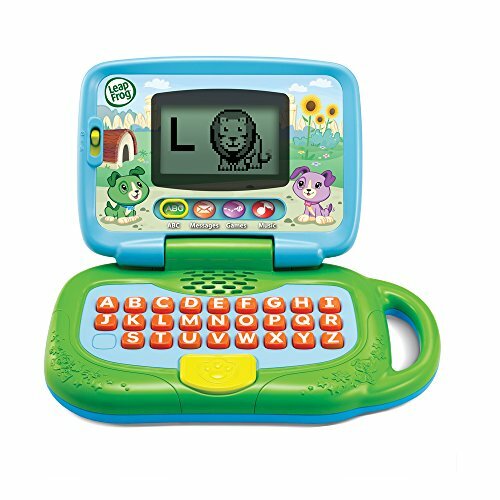 This Leaptop toy by Leapfrog provides kids with the opportunity to learn more about the alphabet and how to spell in a fun and engaging way. They also love to pretend that it’s a real laptop and they can use it to send pretend emails. As a result, it’s awesome for your child’s creative thinking skills. We also liked how it includes a range of different animals as kids are able to learn more about various animals. Moreover, there are 16 songs and melodies available. These work effectively to make the learning experience a lot more exciting. They also stimulate your child’s audible learning skills. We liked how this one teaches kids how to spell and learn about the alphabet while having fun. They also have a blast pretending that it’s a real laptop, which is great for their creative thinking skills. 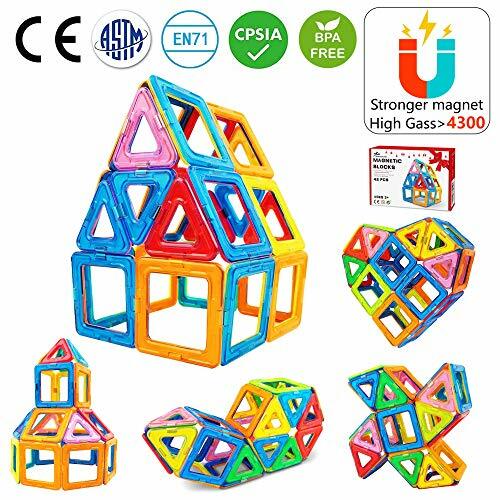 This Magnetic Tiles Building Blocks set comes with a total of 42 pieces, which include squares and triangles. As a result, your toddler will be able to improve their shape recognition skills. Not to mention, there are different colors available which develop their color recognition abilities too. While assembling the pieces together, toddlers are given a great opportunity to develop their hand-eye coordination and motor skills. Moreover, their problem-solving abilities may come into play if they get a little stuck at any point. We also liked how they’ve used high-quality ABS materials as they’re durable and have a smooth design. So, you can be sure that the set will last your child for years. Toddlers have a blast being able to create different structures using these pieces. Their motor skills and hand-eye coordination benefit greatly as a result. 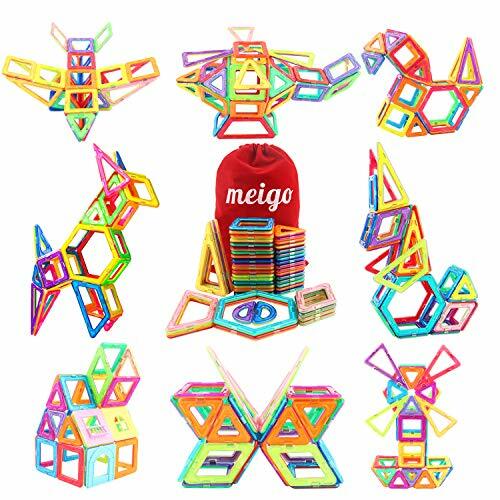 The MEIGO Magnetic Blocks set comes with a range of 51 pieces. These include various squares, triangles, diamonds, hexagons, and more. Therefore, it’s great for improving your toddler’s shape recognition abilities. While they’re putting these pieces together, kids are able to develop their motor skills and hand-eye coordination. Moreover, their creative thinking skills are given a great opportunity to be stimulated too. We liked how the pieces have been made using high grade ABS plastic materials. They’re incredibly durable and will last your child for years. Furthermore, they’ve been made with a round edge design which makes them safer for toddlers. 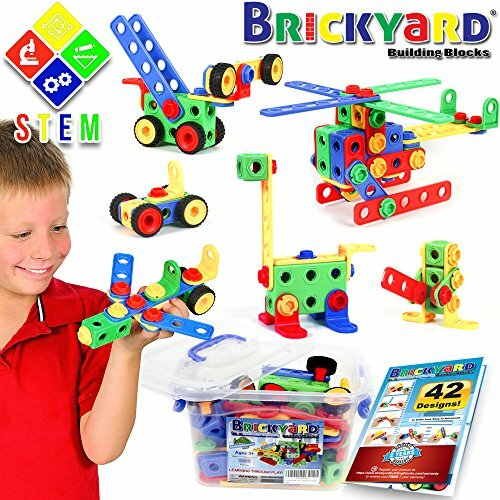 This set is awesome for encouraging kids to use their creative thinking skills, motor skills, and coordination to build fun structures. This is an excellent set that helps kids learn while also keeping them occupied during bath times, which can make it a lot easier! We liked how it provides toddlers with a more exciting way to learn how to recognize different colors and numbers. As a result, you can expect their basic counting skills to improve. While handling the different toys available, children are able to develop their hand-eye coordination and motor skills. Furthermore, the design of these toys is fun and inspires children to use them in more imaginative ways, which is great for their creative thinking skills. All of the parts in this set have been made from durable materials that are created to last, while also being safe for toddlers. Toddlers have been loving how they can use this set in the bath to play creatively, while also developing their coordination and motor skills. 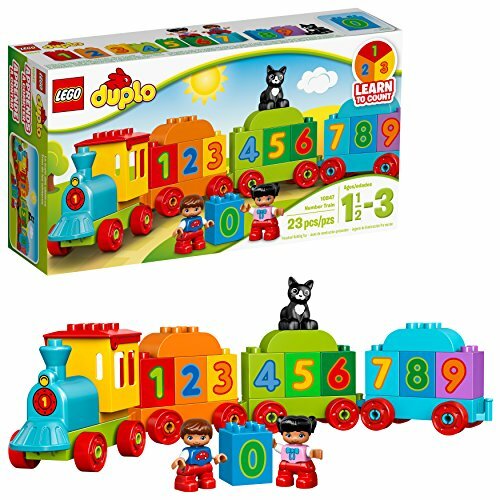 LEGO’s Duplo My First Number Train comes with 3 wagons and a locomotive. Kids are given the opportunity to built the locomotive part using the pieces, which is fantastic for their motor skills and hand-eye coordination. Furthermore, their problem-solving skills may come into play. We liked how there are pieces that have been designed with numbers between 1 and 9. This is awesome for improving your child’s number recognition and counting abilities. There are also 2 Lego figures included. These enable children to play with them in imaginative ways, which is excellent for their creative thinking skills. The size of all the parts and toys are made to be perfect for your toddler’s little hands to play with easily. This is an awesome set for helping your toddler to develop their motor skills and coordination, while learning to count and play with a lot of creativity. This toy set has been made using high-quality wood materials that are durable and safe for toddlers to play with. We liked how it comes with pieces that have been designed with different numbers and shapes. It’s an effective toy for to improving your child’s number and shape recognition skills. In addition to this, while they’re handling the different pieces, their hand-eye coordination and motor skills are given the chance to develop well. We also liked how they’ve ensured to design all of the pieces with bright colors. This makes the set more exciting for kids to play with and improves their color recognition skills. The different shapes, colors, and numbers available with this set are highly educational for kids. Playing with these pieces is also awesome for their motor skills and hand-eye coordination. 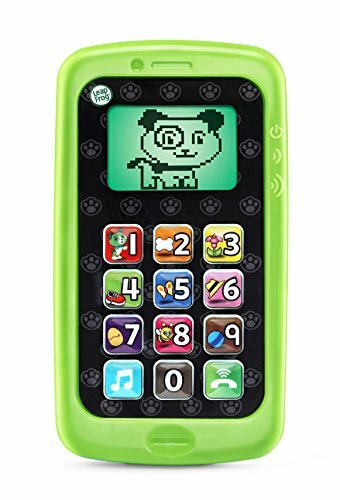 Leapfrog’s Chat and Count Smart Phone comes with a total of 15 different activities. As a result, you can be sure that your toddler will have a blast playing with it for hours on end. These activities are fantastic for teaching your child about different things. There are songs available that help kids to learn how to count to 10, which is a more interactive way for them to be educated. Toddlers can also use this music mode to learn more about manners too. Not to mention, toddlers have a blast using this phone toy to use in their pretend play scenarios. They love using it like a real phone to talk and text, which is excellent for their creative thinking skills. With 15 learning activities, you can feel confident in knowing that your toddler will have a lot of fun playing with this one for a long time. It’s great for their creative thinking skills. This activity toy features a number of pages that have been created with a bright design which works effectively to keep your child engaged for a long time. It’s incredibly effective at encouraging toddlers to improve their reading abilities. Moreover, since it has been designed with bright colors, your toddler’s color recognition skills are able to improve greatly. Not to mention, their creative thinking skills are encouraged to develop as well. We liked how they’re used soft polyester materials to ensure that it’s safe and comfortable to toddlers to use. They’ve also implemented strong stitching to make sure that it remains durable. This is an excellent toy for toddlers that encourages them to improve their reading skills, as well as their color recognition abilities. 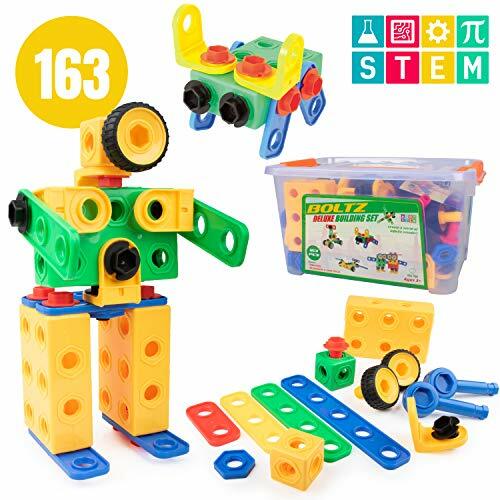 The USA Toyz STEM Building Toy Set comes with a total of 163 pieces which includes a range of different blocks, tools, and interlocking gears. So, there’s plenty for toddler’s to play with and have fun for hours. While constructing the various pieces, their motor skills and hand-eye coordination are given the ability to develop. Moreover, if they get a little stuck at some points, their problem-solving skills will come into play too. We liked how the pieces have been made with different bright colors as it makes it more exciting for kids to play with. Furthermore, it can be effective for improving their color recognition skills. Toddlers have been having a lot of fun playing with this set and developing their motor skills and coordination, as well as their problem-solving abilities. 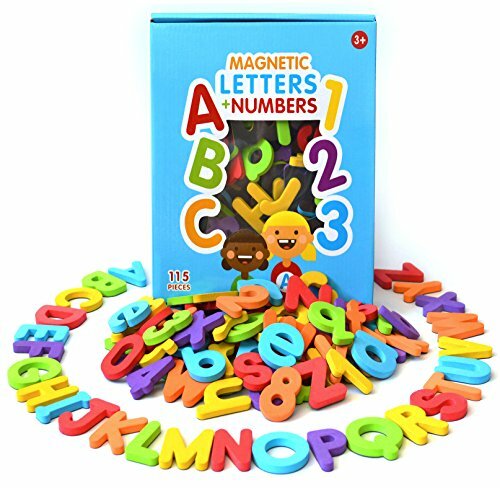 This set comes with a range of 115 magnets which include numbers and letters. These are a lot of fun for toddlers to use and improve their knowledge on numbers and letters. It’s excellent for helping them to learn how to count to 10. We liked how there are various shapes available too as it’s more exciting to play with and also improves your toddler’s shape recognition abilities. The size of the pieces have also been made for smaller hands, which makes it easier for your child to handle. While using the various pieces and putting them together via the magnetic feature, your toddler will be able to develop their motor skills and hand-eye coordination. The magnetic pieces are strong and work effectively to hold the various parts together. 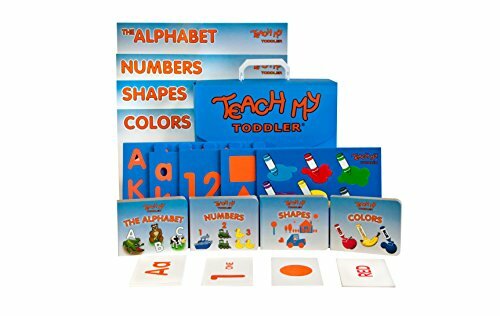 This set provides toddlers with an exciting way to learn about numbers and letters, while also developing their coordination and motor skills. 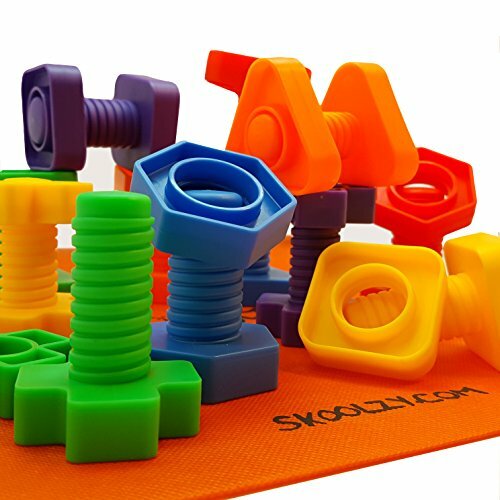 The Skoolzy Nuts and Bolts Toy Set is excellent for providing kids with a fun hands-on experience that’s effective for developing their motor skills and hand-eye coordination. Parents have been liking how a drawstring bag is available to make tidying up easier. Children have a blast using the pieces to build different things, which is awesome for their creative thinking skills. Furthermore, there are numerous shapes and colors available which help toddlers improve their color and shape recognition abilities. We also liked how they can use the parts in this set to learn about different numbers and improve their counting skills. It’s a more interactive way for them to boost their basic math abilities. This is an excellent toy set that helps toddlers to develop their motor skills and hand-eye coordination, as well as their basic math abilities. 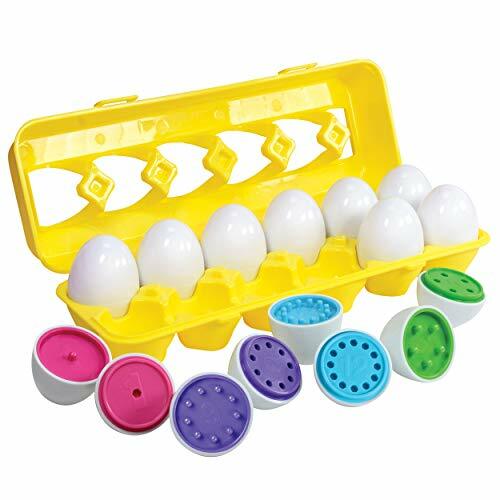 This Color Matching Egg Set by Kidzlane comes with a total of 12 eggs that are available in a fun brightly colored design. As a result, your toddler’s color recognition skills can be improved. In addition to this, they’ve used different numbers on the eggs too. Therefore, it’s an effective way to encourage your toddler to improve their number knowledge and math skills. We also liked how it’s a hands-on set which can work well to improve your child’s hand dexterity, motor skills, and hand-eye coordination. The smoothness and size of the eggs are perfect for little hands. Kids also have an easy time clicking the eggs together and taking them apart. Furthermore, they’ve been constructed out of high-quality materials which are safe and durable. This is an excellent set that encourages toddlers to learn about numbers and colors, while also having fun and developing their motor skills and coordination. 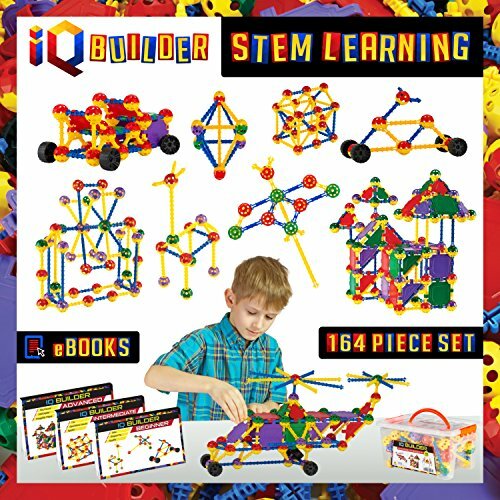 The IQ BUILDER STEM Learning Toy comes with a range of pieces that are available in different shapes, which is great for your child’s shape recognition skills. We also liked how toddlers are given the opportunity to use these pieces to make constructs of their own. This is a highly imaginative process which is great for your toddler’s creative thinking skills. It’s also an awesome way for them to develop their motor skills and hand-eye coordination. Not to mention, if they get stuck at any point, their problem-solving skills will be stimulated too. Parents have been liking how it comes with a storage container as it makes the clean-up a lot easier. All of the pieces are also free from any toxic materials, which ensures that it’s safe for your little one. Toddlers have a blast being able to be super creative and build structures with this set. Their coordination and motor skills are able to benefit greatly. 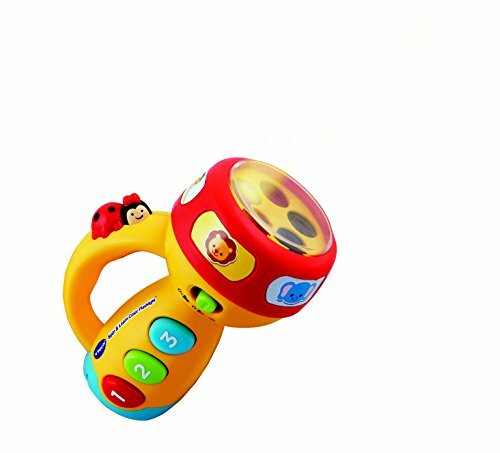 VTech’s Spin and Learn Color Flashlight comes with a range of songs that help kids to learn about different animals, colors, and numbers in a fun way. It’s super interactive which means kids are more likely to enjoy learning. With more than 50 songs available, kids have a blast singing along to them for hours of play. We also liked how there are 5 different light colors available. These are stimulating for your child’s visual senses and develops their color recognition skills. Moreover, this toy is effective at helping your toddler to learn how to count. There are also 2 volume controls available, as well as and on/off switch. It automatically turns off after 45 seconds of inactivity, which helps to save battery life. Toddlers have been loving how interactive this toy is, which encourages them to continue learning about different animals, while learning to count better and recognize different colors. 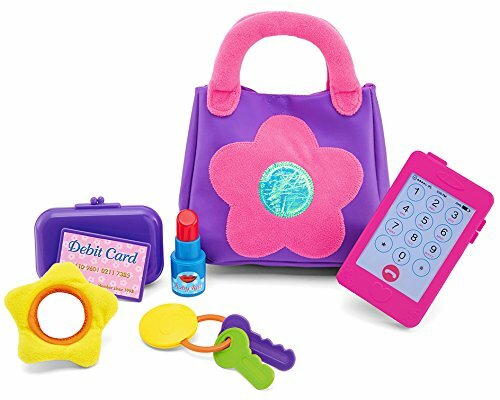 The Kidoozie My First Purse comes with a range of pretend play items that includes a bag, keys, wallet, cellphone, fake lipstick, a debit card, and a mirror. Therefore, there’s plenty of things available for your toddler to play with and use in their imaginative role play games. It’s excellent for improving their creative thinking skills. All of the parts available in this set have been made with high-quality materials that are durable and free from toxins. Therefore, you can be sure that they’ll last your child for a while. We liked how they’ve used bright colors as well. This makes the set more exciting to play with and develops your child’s color recognition skills. This is an awesome set that encourages kids to play with a ton of imagination, which is great for their creative thinking skills. This set comes with a total of 163 pieces that provides your toddler with plenty to play with and be occupied for hours on end. They’re able to use these pieces to make different constructs, which is excellent for their creative thinking skills. It’s also an exciting way for them to work on their motor skills and hand-eye coordination. We liked how they’ve included a guide that’s available in color and features a range of 42 different designs for inspiration. Some are harder than others, which is a great challenge for toddlers. Due to how many pieces are available and the complexity of the constructions, kids feel encouraged to use the set with friends and family. As a result, it can be an effective way for your toddler to learn about teamwork and improve their social skills. Toddlers love how many pieces are available and how it enables them to play with creativity, while also developing their motor skills and coordination. The WolVol Musical Activity Cube comes with a range of music and sound effects. This makes it exciting for toddlers to play with and is effective at improving their audible learning skills. Furthermore, there are some excellent lighting effects available. These are awesome for stimulating your toddler’s visual senses. It also makes the toy more exciting to play with. There are various objects available with this one, including a microphone that allows kids to sing and have a blast. There’s a cellphone toy available, as well as a steering wheel that has realistic sound effects. Toddlers have a lot of fun implementing these things into their pretend play games, which boosts their creative thinking skills. This is an exciting option for toddlers that lets them sing, pretend to talk on the phone, and drive. As a result, their creative thinking skills are able to improve. So, now that you have a better idea of what the best learning toddler toys have to offer, you can begin to narrow down your search to find the ones that you think your child would enjoy and benefit from the most. If you still aren’t feeling 100% confident on which one to pick, don’t worry. Simply take a look at this buying guide section for further information. There are a range of different toddler toys in this review that are best for certain ages between 1 and 3. If you were interested to learn more about the toys that would be best for your toddler’s specific age, this is the section for you. 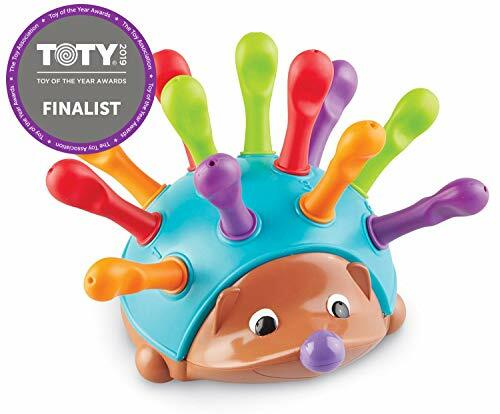 The Learning Resources Spike The Fine Motor Hedgehog is a fantastic option for 1 year olds because it comes with a range of parts that are easy for kids to use. 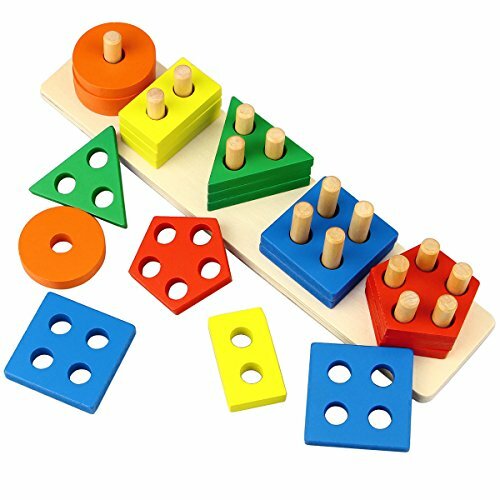 The size of the pieces with this set are perfect for smaller hands, which is great for helping them to develop their motor skills and hand-eye coordination without any hassle. 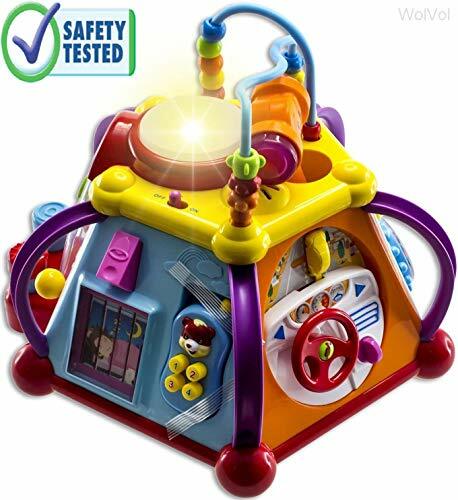 When it comes to 2 year old boys, the VTech Touch and Learn Activity Desk Deluxe is an awesome choice as it comes with a total of 20 activities, which is plenty to keep a 2 year old engaged for longer. Furthermore, it provides them with the chance to start developing their knowledge on letters, shapes, and numbers. 3 year old girls have been loving the Skoolzy Rainbow Counting Bears due to the bright colored design and how it helps to develop their counting skills. We liked how it challenges 3 year olds to sort the bears into colors according to the rainbow – it’s more cognitively stimulating for them. After reading through our review above, you will have seen that there are a number of different types of toddler toys available. If you wanted to learn more about what makes them different from one another, take a look below. The building sets that we’ve reviewed in this post are highly effective at helping toddlers to develop their hand-eye coordination motor skills, while also having fun. We liked how they can also require toddlers to recruit their problem-solving abilities and be super creative. Furthermore, if they are playing with larger sets that have more pieces, your toddler can have fun using it to play with others. This can be a fantastic opportunity for them to improve their social skills and ability to work in teams. Activity cubes are excellent if you are looking for something that can keep your child engaged for a long time. These activity cubes come with so many different things to play with that your toddler will be engrossed and able to play with a lot of imagination for hours. Learning Desks are awesome for toddlers as they usually come with a lot of activities. The one that has been reviewed in this post has an excellent LED display that lights up letters, shapes, and numbers, which makes learning about them a lot more exciting. These types of toys are awesome for helping kids to learn how to count and spell better too. The books that have been mentioned in this review are highly interactive for kids as they feature sound effects. This is a fun way to encourage your toddler to strengthen their reading skills. We like how the sound effects and music features that come with these books are fun and stimulate your toddler’s audible learning senses. Tablet and laptop toys are super effective for inspiring toddlers to play with a lot of imagination. They love using the realistic features to pretend that they’re using a real tablet or laptop, which helps them to think more creatively. When you’re trying to find a toy for a boy, one of the things that you’ll want to consider is the design and what’s involved. Many boys love to play with sets that provide them with a more hands-on experience. Therefore, we recommend the Skoolzy Nuts and Bolts Toy Set. The various tools and pieces that are available provide boys with plenty to play with for hours while developing their coordination and motor skills. As far as finding the best toys for girls, the color of the toy will have a lot to do with how much they enjoy playing with it. Therefore, toys that are purple or pink in color would be best. The Kidoozie My First Purse is a great choice as little girls can imitate how they may have seen their mom use their purse and accessory items. It’s excellent for their creative thinking skills. That brings our review on the top toddler toys to a close. Hopefully, everything you need to feel confident about purchasing the right toys for your child can be found here. There are many different learning benefits that are available with the various toys mentioned in this review. Be sure to read through all of the main details, pros, cons, and what makes each toy stand out. The buying guide section also ensures that you’re armed with everything you need to make the best final decision!